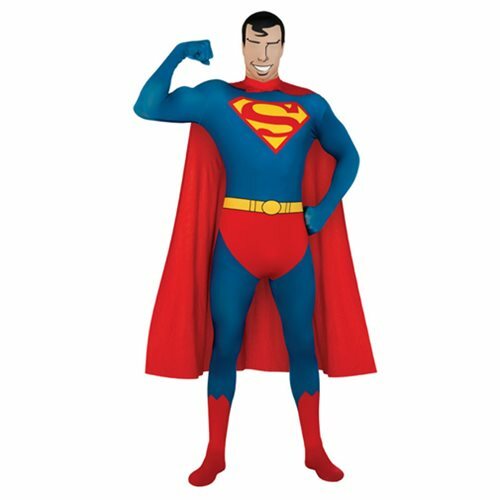 Become your favorite superhero with this full body Superman 2nd Skin Suit! This breathable jumpsuit features a printed chest logo, printed belt and boots, and comes with a removable cape. Upgrade your costume to then next level with this Superman 2nd Skin Suit!